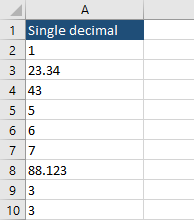 If you want to add a decimal place in Excel, just follow these steps. Navigate to Home >> Number >> Increase decimal. Click the button in order to increase the number of decimal points. This is the simplest way to increase or decrease decimal points. But there are different ways you can do it. 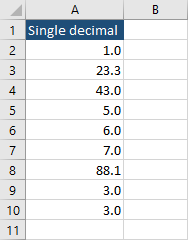 There are three functions, you can use to specify how many decimal places you want to keep when rounding a number. You can round the number, round it up, or round it down. The following function takes the first parameter as a number and the second one as precision. If you use 0 as the second parameter is will work the same way as the CEILING.MATH function. Press Ctrl + (grave accent) to display formulas. You can add decimal places by selecting cells and pressing Ctrl + 1. Choose the Number category and set how many decimal places you want. The values will be rounded automatically, and not cut. 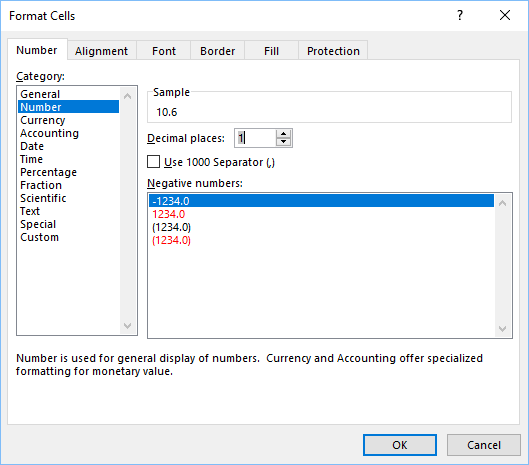 If you want excel to automatically treat values with the specified number of decimal places, you can select empty cells and format them (Ctrl + 1) before entering values. Press Ctrl + to display real values. As you can see there are integers and numbers with different decimal places, but they are all displayed as numbers with one decimal place. 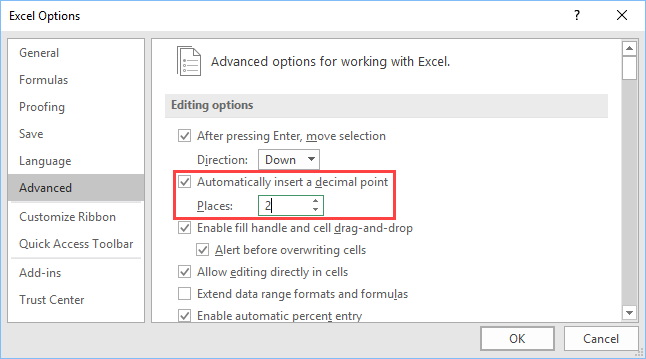 There is a way to tell Excel to automatically place a decimal point. It can be advantageous if you work a lot with such numbers. Navigate to File >> Options and click the Advanced tab. Check automatically insert a decimal point checkbox and specify the number of places. If add two decimal places, it will divide each number you enter by 100 and insert two decimal places.